I’m so excited!!! 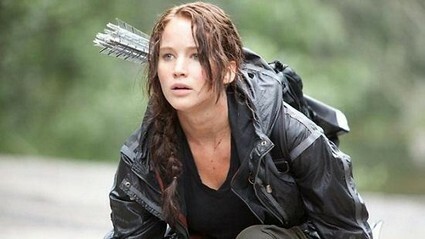 As you might already know, I’m gagging to see the first trailer of the wildly anticipated film, The Hunger Games. The cast and crew have been busily shooting for the past several months and I’ve just found out that the first trailer will air this Sunday during the MTV Video Music Awards. Pretty good marketing if you ask me, considering the amount of people who will tune in to the awards show. The movie’s release date isn’t until March 23rd, but there have been new pictures and details of the shoot that have been slowly leaking out. The trilogy is based on the books written by Suzanne Collins, with a cast consisting of Jennifer Lawrence, Donald Sutherland, Woody Harrelson, Wes Bentley, Elizabeth Banks, Liam Hemsworth, Josh Hutcherson, Lenny Kravitz, Stanley Tucci – to name a few. What that’s all? The cast alone is enough to make me want to see the flick, let alone the fact the book series is amazing. You can catch the 2011 MTV Video Music Awards this Sunday at 9/8C.